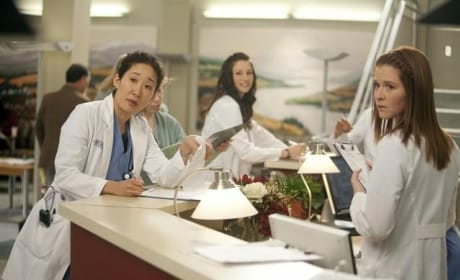 Cristina, Meredith and Lexie in the seventh season finale of Grey's Anatomy. 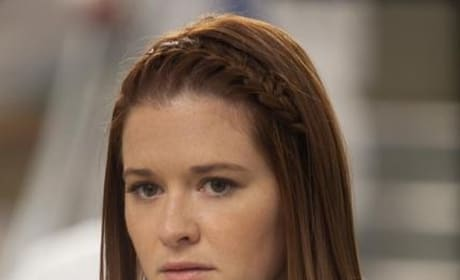 Sarah Drew as April on the Grey's Anatomy Season 7 finale. 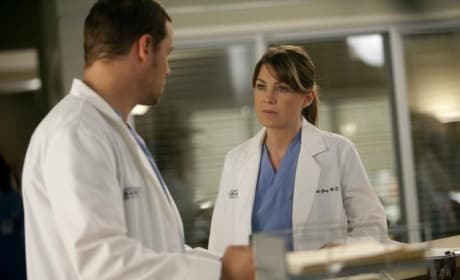 Meredith and Alex in the seventh season finale of Grey's Anatomy. 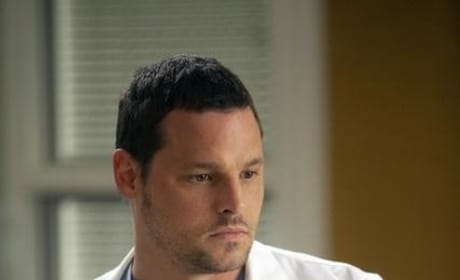 Will Karev blow the whistle on Meredith or force her into doing the same on herself? 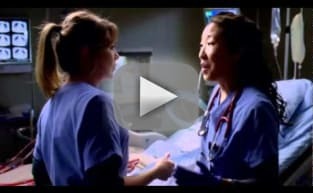 Will Meredith pay the price for what she did on the clinical trial? 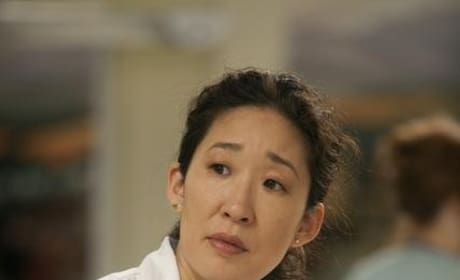 Henry and Teddy in the Season 7 finale of Grey's Anatomy. 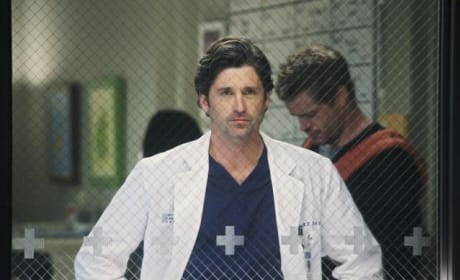 There's only one Derek Shepherd. 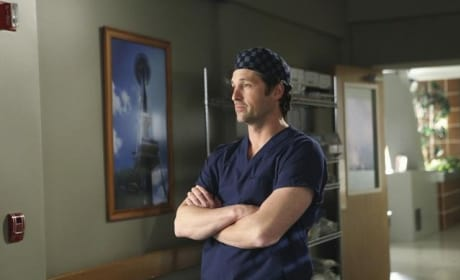 Derek looks like he's got a lot weighing on his mind, and with good reason. 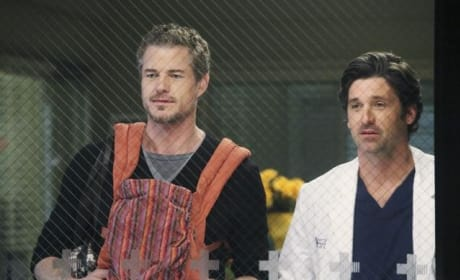 Mark and Derek on Grey's Anatomy. 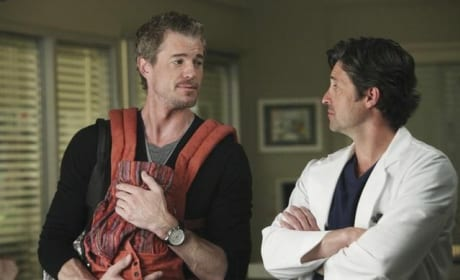 Well, one dad and one future dad ... hopefully near future.